You will earn 13 WayPoints for each product that you purchase. 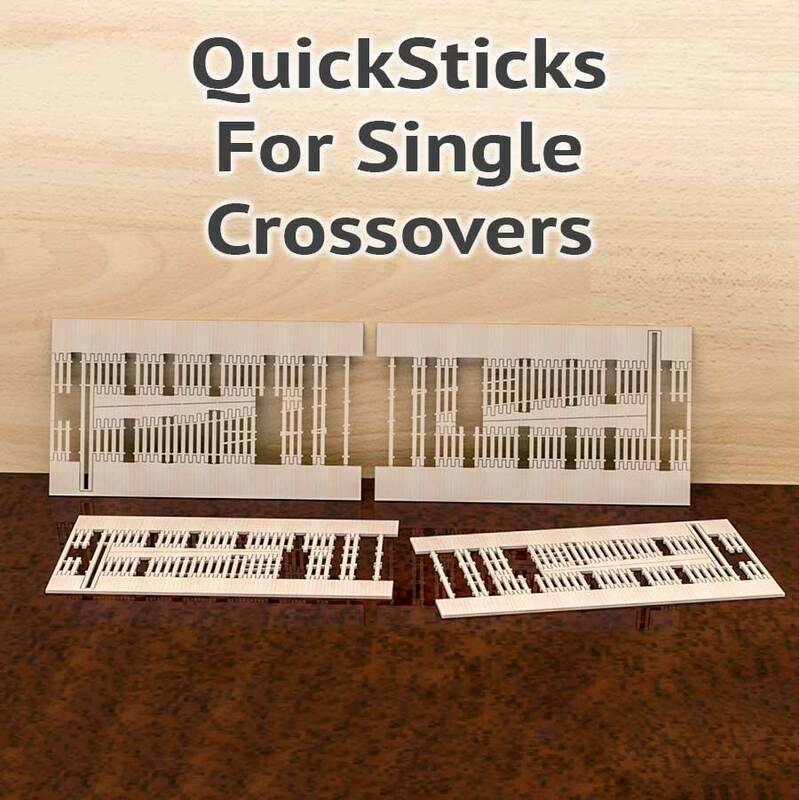 Specially designed for trackwork built with Fast Tracks assembly fixtures, QuickSticks laser cut ties lets you construct fully complete, ready-to-run HO single crossovers right at your workbench! Using our track assembly fixtures you build what we call a "skeleton". This skeleton will have PC Board ties located at key locations to keep the piece of trackwork in gauge. To finish the trackwork, our Laser Cut QuickSticks are used. With a single step all the remaining wood ties are added to the pre-built skeleton and the trackwork is ready to be installed. 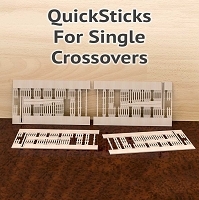 Can Be Built Quickly - Build a fully complete single crossover in less than an hour! QuickSticks are cut from Baltic Birch plywood custom sawn in Finland specifically for Fast Tracks. Just like the protoype, the wood grain on our QuickSticks ties runs perpendicular to the rails. The ties are 0.08" (2mm), 7 scale inches thick and 0.1" (2.5mm) 9 scale inches wide. They will match all popular commercially available wood ties, including wood ties available from Fast Tracks. The ties will also match all popular commercial track, trackwork completed with QuickSticks will be compatibile with these products. The QuickSticks on this page are the non-drilled version. We offer Quicksticks with either drilled or non-drilled wood ties. The version you choose is a matter of personal preference. 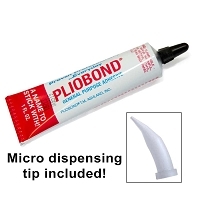 The non-drilled version has trackwork fastened to it with Pliobond adhesive. Plionbond will provide a solid bond for a lifetime as its bond increases over time and is very reliable. Spiking onto our drilled QuickSticks will provide a mechanical bond that some modelers prefer, but requires a bit more time to install. Not all ties are pre-drilled, only ties at key locations to allow the turnout to be fastened in place. 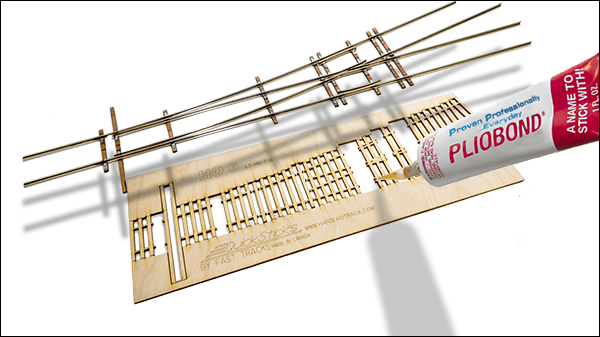 Non-drilled versions of QuickSticks laser cut ties are designed to be glued to the rails using using Pliobond glue. 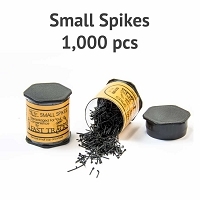 If you prefer, a drilled version is available that is designed to be spiked. Note: Single Crossover QuickSticks come in two halves that are joined together when you build the switch. We currently do not have documentation on how to construct single crossovers, however the techniques will be similar to double crossovers. Get a head start by downloading the QuickSticks builders guide now. In addition to an extensive Q&A section, we also offer a full library of track building documents. 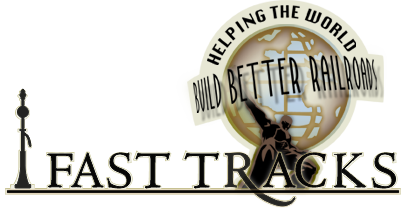 Visit our growing collection of track building demonstration videos. Default Turnout Length 25" (635mm) This is the length of the Single Crossover on the QuickSticks. Measured from end tie to end tie. Minimum Turnout Length 24" (609.6mm) This is the shortest possible Single Crossover length. Measured from the end PC board tie to end PC board tie. Diverging Route Radius 67" (1701.8mm) The minimum radius in a straight turnout. Tie Spacing (Prototype) 20" (508mm) Tie spacing center of tie to center of tie. H - 0.08" (2mm) The actual size of the tie. H - 7" (177.8mm) The original tie size that the model was based on. Track Gauge 0.66" (16.8mm) The distance between the stock rails. Track Spacing 2" (50.8 mm) The center to center distance of the parallel track-Vandana. 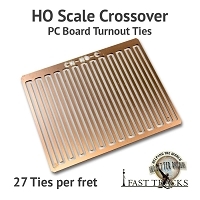 CopperHead HO Scale PC Board Crossover Ties - 1/16"
Newsletter subscriptions are currently not being accepted.